I can’t help myself. 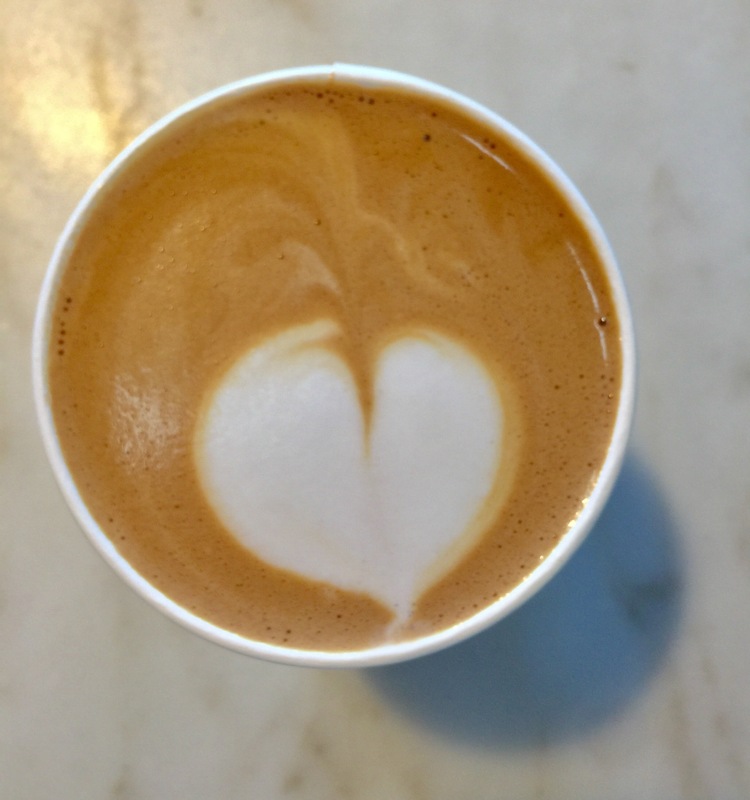 I love latte art. I’m thinking about doing a series “cooking through the decades”. 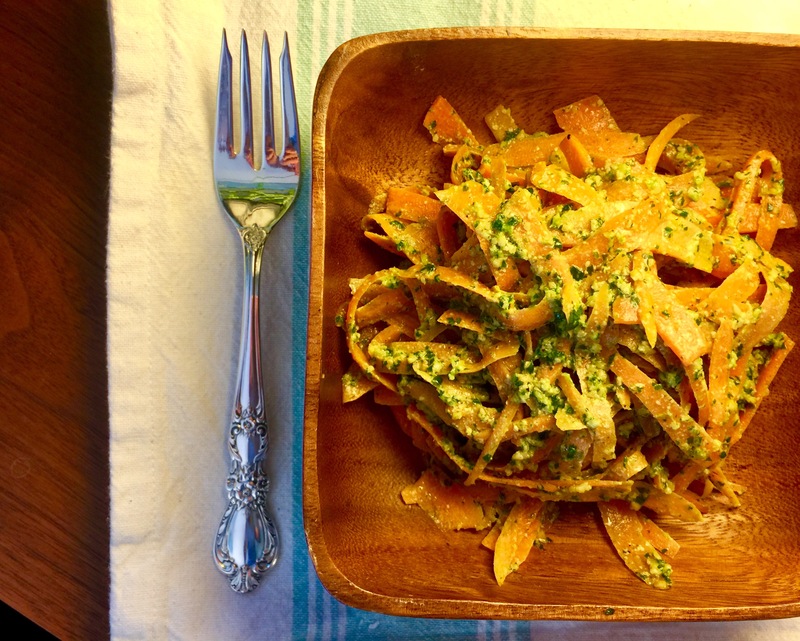 Each week I would cook and share 2-3 recipes from each decade starting 100 years ago. I think it would be so fun! I’ve already been doing my research with articles like this one and this one. Do you have any ideas for me? 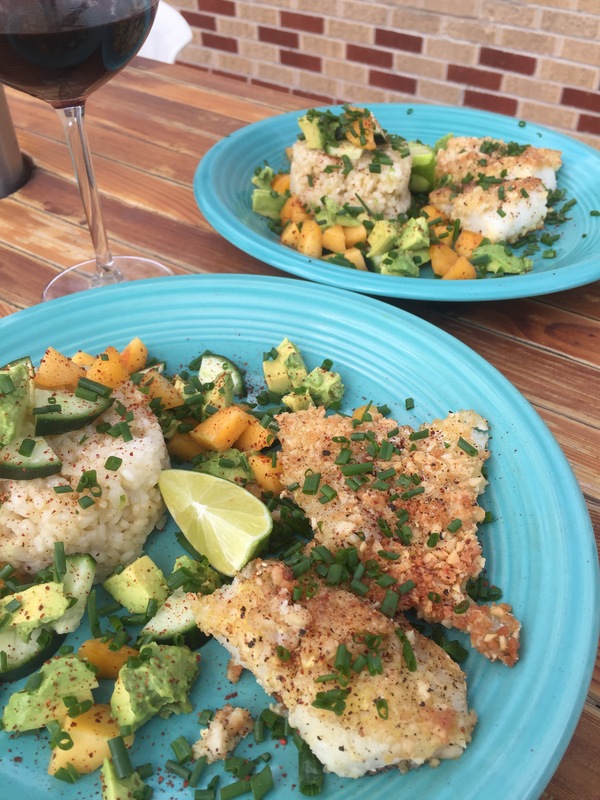 What dish comes to mind when you think of the 40’s, 60’s, 2000’s? Cookbooks among celebrity non-chef’s are so popular. Have you tried any? These are a few that look good to me: Cravings, (here is a good review on it) The Seasoned Life, Audrey At Home and here is a long list of celebrity cookbooks. Pippa Middleton? Freddie Prince Jr? Kris Jenner? Ok! I heard a piece on the radio today about bringing back fresh cooking in schools. When is the last time this was common practice? I know at the school I teach, the actual nutrition is much better than it was 10 years ago, but the main dishes are still majority pre-packaged and heated up. I will say that there are always fresh fruits and veggies instead of canned. There are so many good cooks out there, I know many school food service people would be happy to actually use their real skills to cook again in the school. Like this woman! 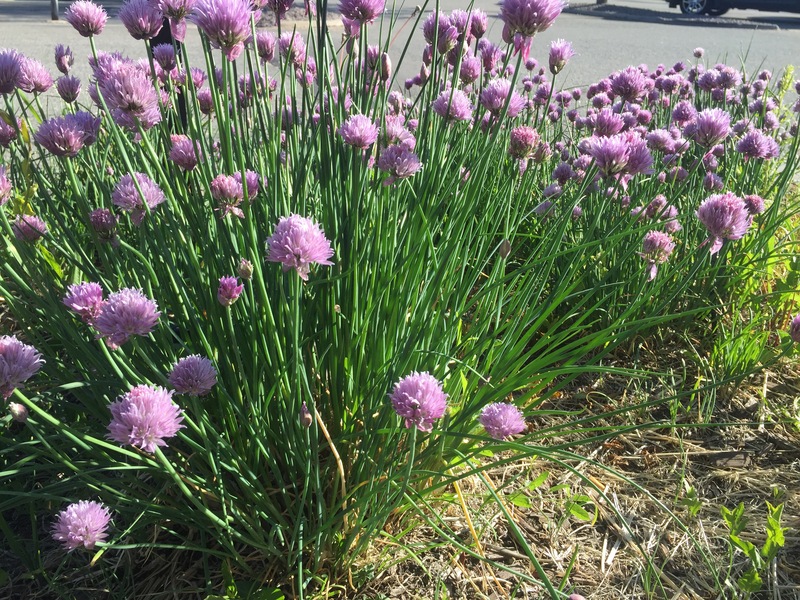 On that note, I leave you with a lovely picture of some chives I snapped as I was leaving my doctor’s office last week. It makes me wonder and hope that perhaps employees get to go out and snip some fresh chives for their meals? Ok! Last Easter recipe post. I gotta make it short and sweet. My laptop is broken and so Ive been blogging the last couple posts from my phone. Yuck! 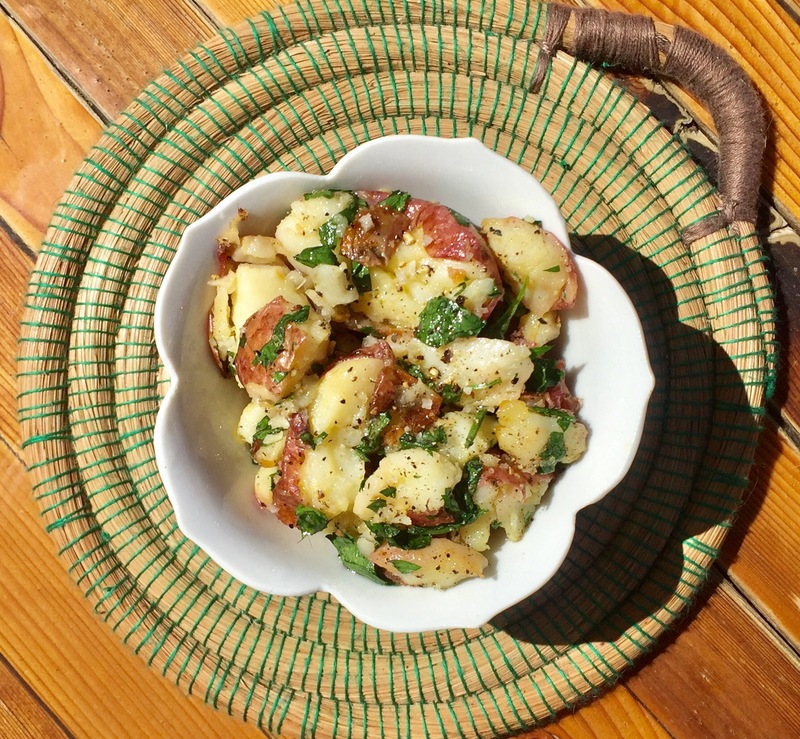 These potatoes are delicious of course because of truffle oil and truffle salt, two items worth splurging on. A little goes a long way and they are soooo delicious on things like potatoes, risotto, scallops. The trick to these potatoes is to cook them long enough. You’ll boil them, smash them and then oven fry them. They go great with anything! Serve them room temperature or warm. Boil the potatoes in a large pot with salt water that just barely covers the potatoes. Boil for about 20-25 minutes or until the potatoes are quite tender when pierced with a fork. You want to be able to easily partially smash them with your fork once they’re drained. After the potatoes are partially smashed. Transfer them to a baking sheet and toss with the 1/4 cup olive oil. Add the kosher salt and fresh cracked pepper. Bake in the oven at 400 degrees until browned and a little crispy but still soft too. Remove from the oven and put in a large bowl. Add two more tablespoons of olive oil, the truffle oil, parsley, truffle salt and more pepper. Toss to evenly coat. Add more truffle salt and oil if desired. Happy Easter! Mini ham loaves or ham balls, however you shape these tasty little things you’ll love them. 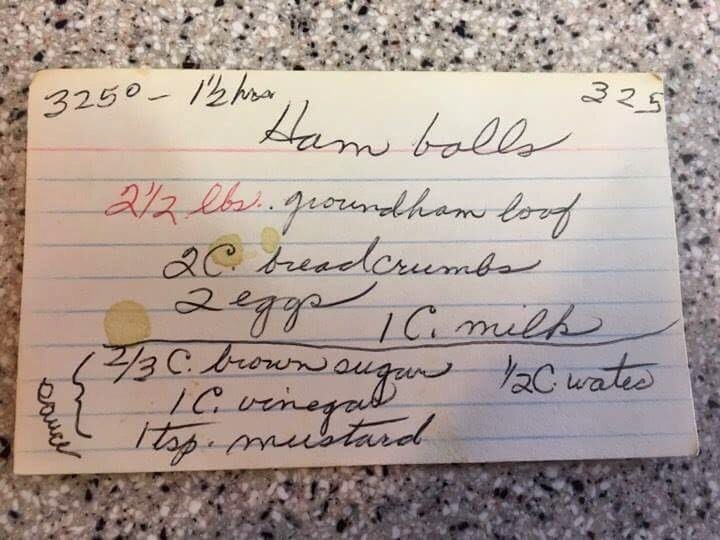 Both my grandma’s used to make ham balls. They were one of my favorite things they made. 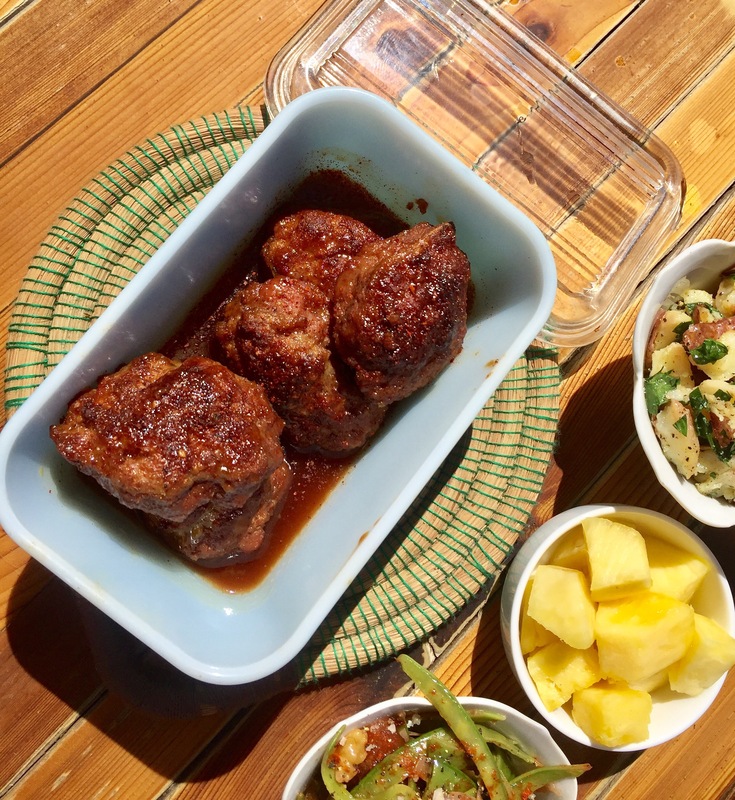 Ham balls have that sweet, salty, tangy factor. In Iowa and other parts of the Midwest you can buy pre-mixed ham loaf. It’s usually a mixture of ham and pork or ham, pork, and beef. In Denver, you really can’t find this premixtire of ground meats. I had to really ask around several meat counters before I found one willing to grind up ham and pork for me. Special thanks to Marczy’s Fine Foods on 17th in Denver for happily accepting this special order! I didn’t have my grandma’s recipe so I called my mom and she gave me a recipe that was not my grandma’s exact recipe but she thought it was “pretty close”. This recipe had graham crackers as a binding agent and tomato soup in the sauce. Oh my. As she was reading me the recipe my aunt, who happened to be visiting my mom, yelled out that she didn’t think grandma used Graham crackers and she KNEW that her sauce didn’t have tomato soup. Uh oh. I needed to find out more! After that I messaged my cousin and my sister because I knew they would have the best memory of the ham balls and maybe the best resources. They didn’t dissappoint. My cousin even had grandma’s recipe card! My aunt was right. No grahams and no tomato soup. We also decided that grandma’s recipe was most likely not developed because it was her preferred method, but rather because she didn’t have those ingredients on hand and she did without, or she thought they were too expensive and it was “just fine” without. I plan on trying the graham cracker, tomato soup version soon, but for the sake of authenticity, I’m making grandma’s simple version for my Easter feast. Preheat the oven to 325 degrees. 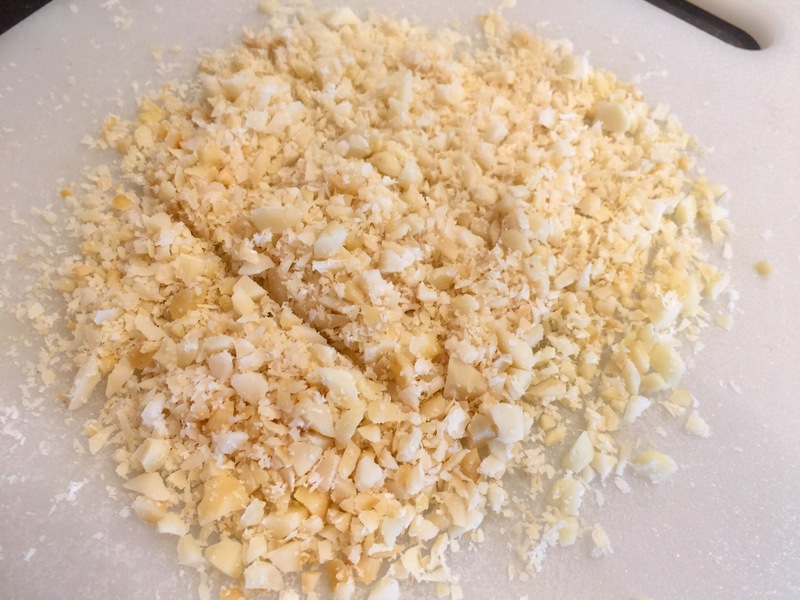 Mix together the meat mixture, bread crumbs, eggs, and milk. Shape the mixture into small little loaves. They should look sort of like little footballs. About 2 inches wide and 3 inches long. Place them in a 9×13 casserole pan. Mix together the sauce ingredients and pour over the little loaves. Bake, uncovered for about an hour and a half. Let me know what you think! Did you like this retro Midwest recipe? This recipe is from Food Network Magazine. I’ve adapted it slightly. I’m not sure how I stumbled upon it, probably at my friend Jamie’s house because she always has Food Network Magazine. I’m surprised I even tried it because I’m not always wild about peas of any variety and my husband certainly is not. It’s strange, Dirk is a pretty open guy when it comes to food. He actually prides himself on it. But he has this strange prejudice when it comes to springtime veggies. That being said, we both love this recipe. Can you believe it? 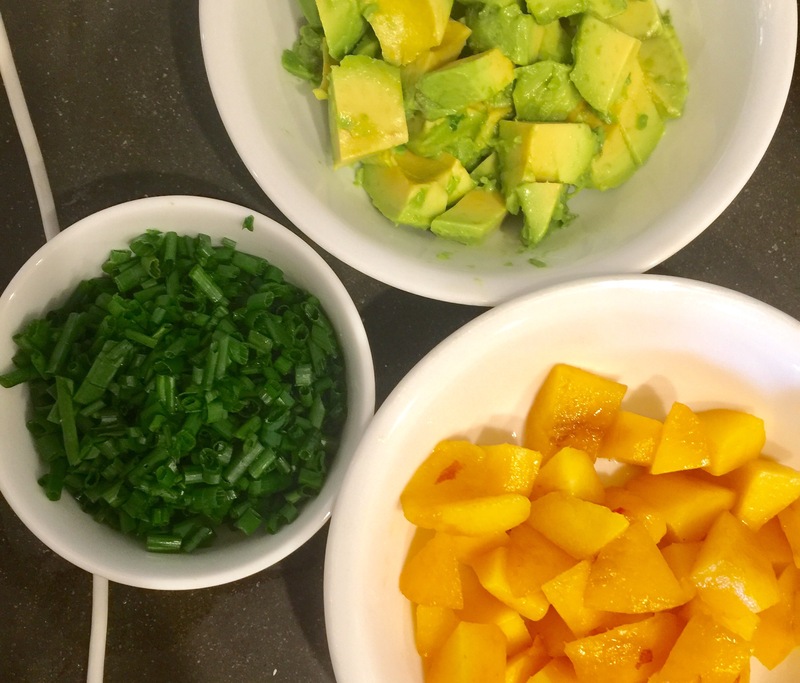 I will definitely admit that these ingredients sound a little suspect but the combination is really beautiful. Cook the peas to just tender. Don’t overcook! The shallots are salty and sweet, the walnuts roasted and crunchy and the dates add even more sweetness to round the salad out perfectly. 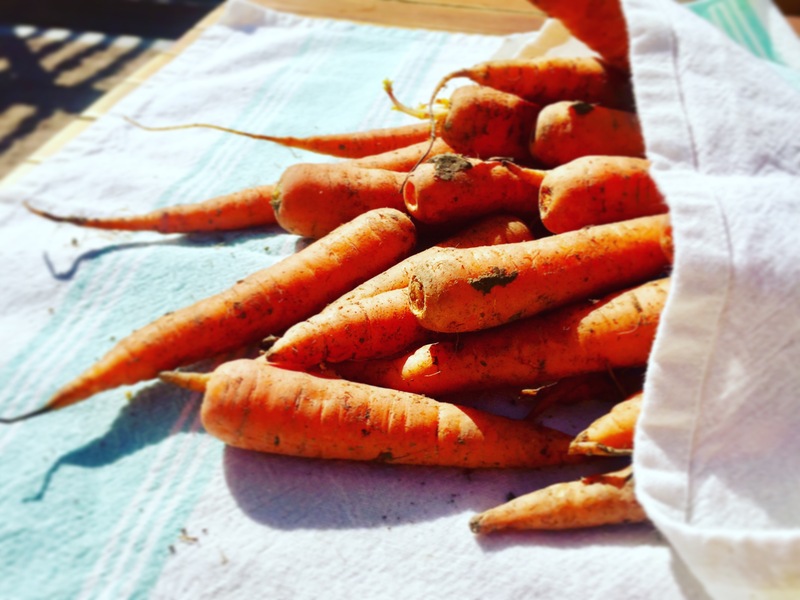 What better addition to your Easter dinner than a recipe that is all about the renewing of the growing season? And dates? That’s totally a biblical food. Right? One note: Unless you are a die-hard pea fan, only use the English peas if you can find fresh. If you’re like me and you’re quite suspicious of peas you won’t want to use frozen. And I can’t even talk about canned. Fresh peas that you shell yourself are an entirely different story. If you find those at the store, definitely add them. I typically can’t find fresh peas, so I leave the English peas out. I usually increase the amount of snow peas but 1/2-1 cup. 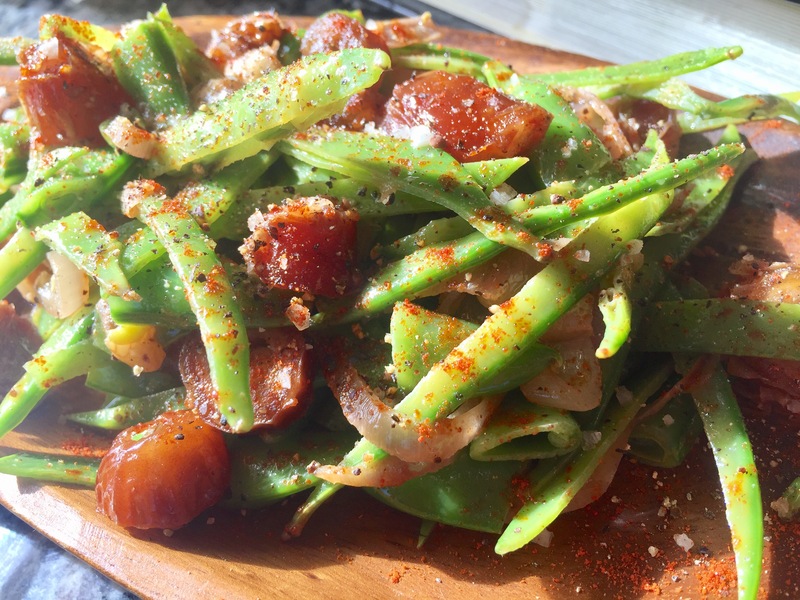 Thinly sliced snow peas. I used more than a cup because I didn’t use any English Peas. I found it at Marczyk’s Fine Foods in Denver and I’m sure they would have it at Whole Foods too. Or order it here. Bring a large pot of salted water to a boil over high heat. Fill a large bowl with ice water. If using fresh English peas, add to the boiling water and cook until tender, about 1 minute. Add the snap peas and cook until bright green, about 2 minutes, then add the snow peas and cook 30 seconds. Drain the peas and plunge into the ice water to cool. 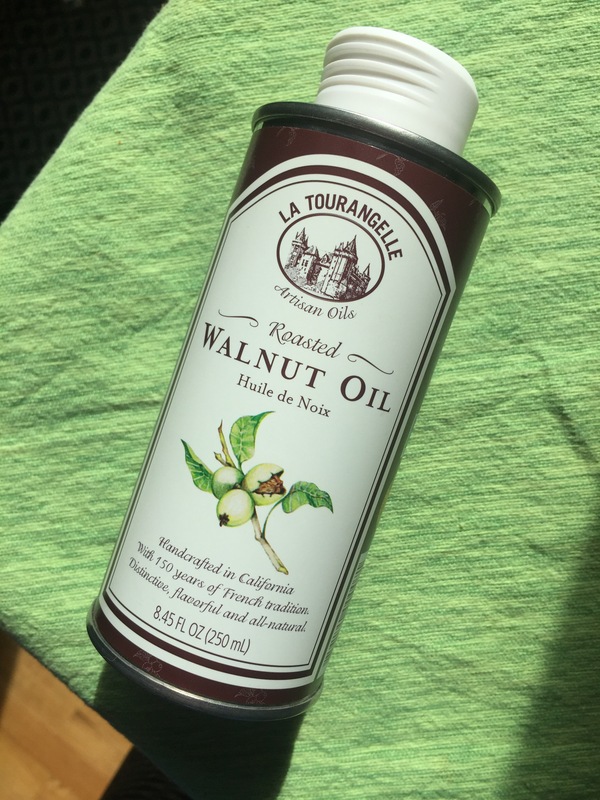 Heat 1 tablespoon of the walnut oil in a large skillet over medium-high heat. Add the shallot and cook until soft, about 2 minutes. Add the walnuts, dates, and cayenne and cook until the nuts are slightly toasted, about 1 more minute. Drain the peas, shaking off the excess water, then add to the skillet (if using frozen peas, add them here). Add some salt and cook, stirring, until heated through, 3 to 5 minutes. Add the walnut oil and toss. Add more salt and some freshly cracked pepper to taste. Deviled eggs happen to be another early high school cooking class recipe. Our teacher taught us how to make deviled eggs using a plastic sandwich bag to mash all the ingredients together in. Then, you snip off the corner and squeeze it into the egg white. I remember going home that day and making them after school. Thinking back, I find it really funny that I would make myself deviled eggs for an after school snack. Deviled eggs are a fun, retro type snack that everybody loves. You always see people getting real excited when you bring them to a party. Everyone has to really hold themselves back from not taking too many. I found quickly that the secret to good deviled eggs is having enough salt and vinegar. You need that yolk mixture to be just a little too strong to eat on its own so that the egg white shell balances it. I’ve eaten quite a few amazing deviled egg combinations: green goddess (avocado with tarragon), deviled eggs with bacon and sriracha, and deviled eggs with smoked salmon and capers. All these combinations are amazing and I love trying really unique deviled egg recipes. This recipe, however, is very basic, but also my favorite. If I had to pick one recipe to stick with my whole life long, this would be it! I used 2 teaspoons of Coman’s mustard and 2 teaspoons regular yellow mustard. The Colman’s has a sharper, slightly spicy flavor to it. Quite strong. Boil the eggs for 10 minutes and then put them into an ice water bath immediately. I’ve heard the secret to easy peeling eggs is that they are cold when you peel them. You can find all sort of tips on the internet about this but what I’ve found is that none of them work. It’s all luck. Either that or I’m horrible about peeling eggs. I usually make my husband do it and laugh when he gets really mad with how poorly he can peel them. *This is the first post in my Easter feast series. 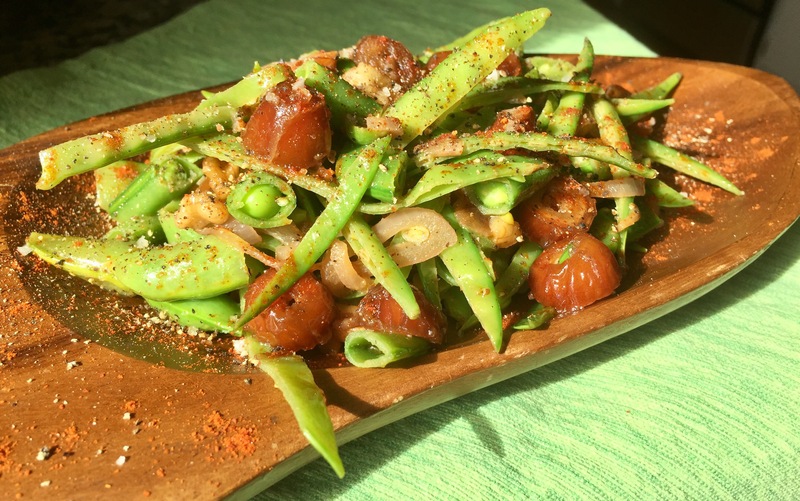 I’ll soon be adding recipes for my grandmother’s ham balls, a spring snap pea and snow pea salad with shallots, walnuts, and dates, and also a recipe for truffled twice-cooked new potatoes. If you’re wanting to try the ham balls and you don’t live in the midwest, call your butcher now to have them ground together 2 pounds of ham and 2 pounds of ground pork. They won’t be happy about it because they will have to clean out their grinder and then clean it again. I’ve been told it’s a real pain. By the way, do you have any tips for me on how to easily peel eggs? Tell me what works for you. Please! And Mom, I know you’re reading this. Is this pretty close to how you make deviled eggs? Kimchi. Fried Rice. Yes please. 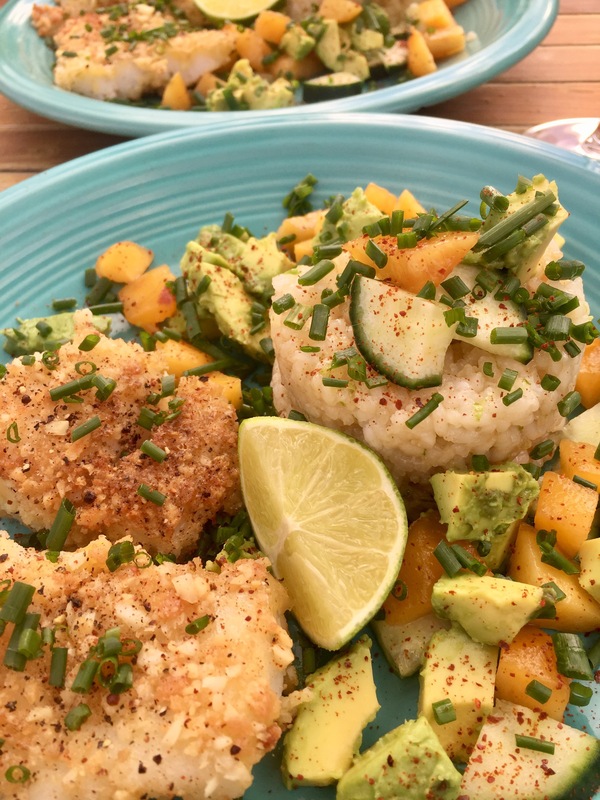 This recipe is so easy, delicious and comforting. 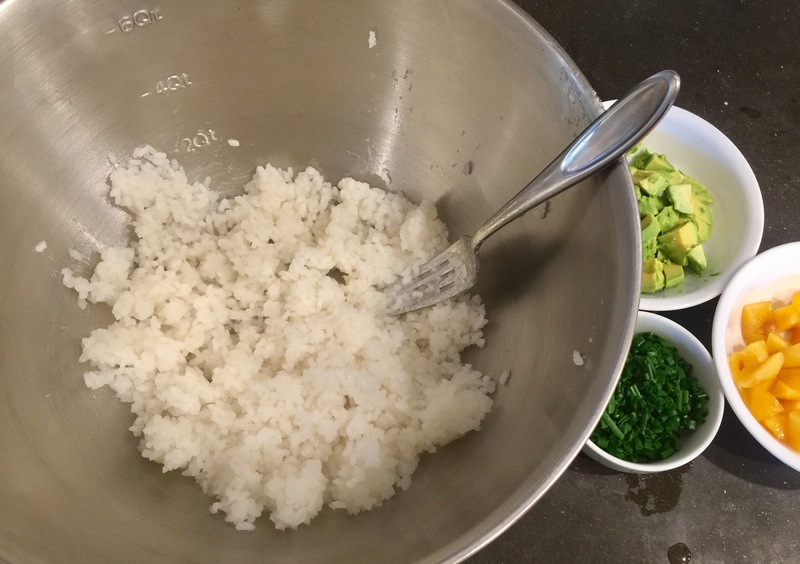 You have to use cold rice from the day or two before or at least make it in the morning and then stick it in the fridge. After that, this recipe really only takes about 20 minutes. If you haven’t started buying kimchi on the regular its time to start. Buy it for the delicious fermented taste and then keep eating it for the probiotic health benefits. You’ll find it at any grocery story in the refrigerated pickles and saurkraut section. I learned how to make fried rice in 10th grade home economics class. Oh how I loved these classes with the fake little kitchens. I liked to pretend that my group was my own little family. It was playing “house” for a 16 year old. I loved how we all helped to cook, sat down at our little table, ate together, and then all did the dishes together. Don’t worry I wasn’t deprived of this in real life, I just really enjoyed playing house. I remember we had this recipe for fried rice and our teacher explained that the rice needed to be cold and made a day ahead of time. This helped it to fry better. The recipe she had did not have kimchi but it did have ham, onion, garlic, carrots and peas! Also soy sauce so you know I liked it. 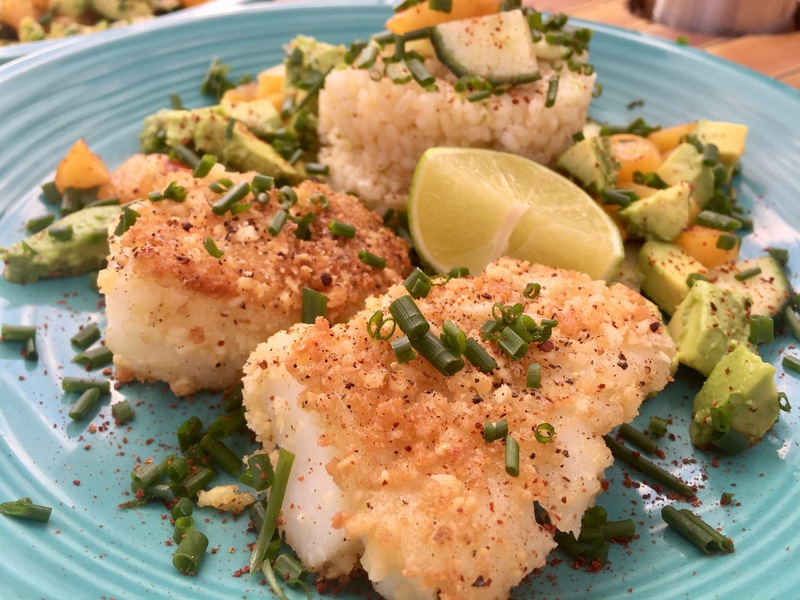 This recipe I’m posting may be even easier than my 10th grade cooking class recipe. 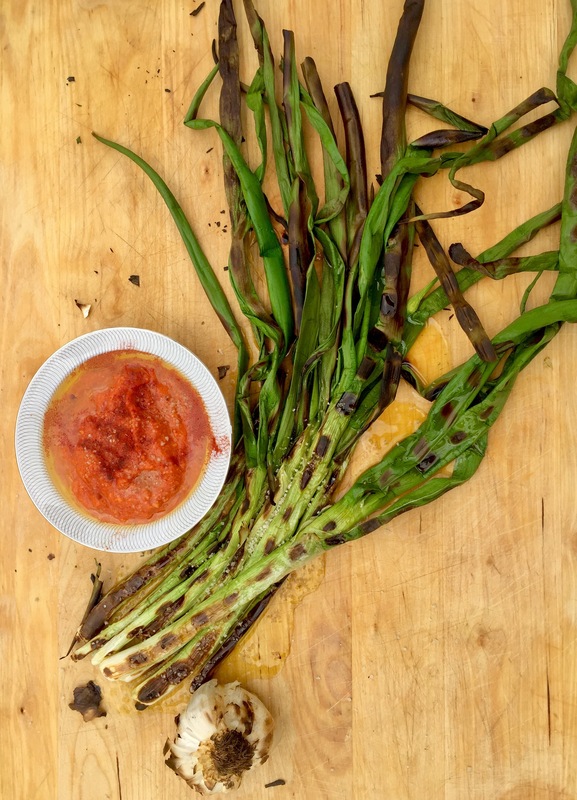 Most of the flavor comes from the fermented kimchi. I’m adding a little cut up pork chop and of course a fried egg on top. I used chives as a garnish because they are growing outside in my garden. 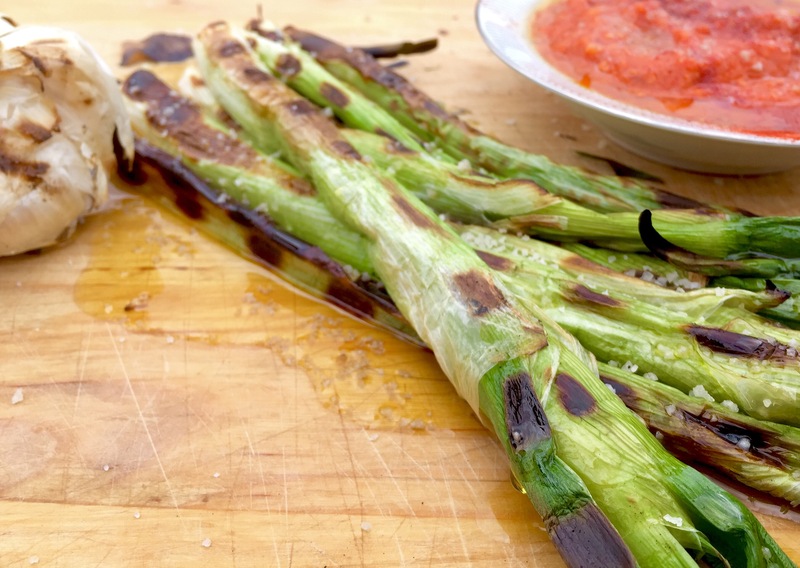 You of course could use green onions. I had an extra pork chop that’s why I chose it, plus I love pork with Korean-inspired dishes. You could use any protein, or not. That’s what eggs are for! I’m topping it all with a super umami sauce made from soy sauce (this is my favorite brand), gochujang, and sesame oil. 2 cups cold cooked rice- made that morning or the day before- I used short grain rice (mepssal). Chop up the kimchi and set aside, make sure to reserve the liquid that drained from it. Thinly slice the pork chop and cut into small pieces. Heat a tablespoon of the high heat oil in a wok or deep skillet. Once hot, add the pork pieces and sprinkle with salt and pepper. Cook on high until cooked through and set aside. Without cleaning out the pan, add the chopped kimchi on high. Add a little oil if needed. Fry the kimchi for about 3-5 minutes. You want it to get cooked down and develop a sweetness. Add the red pepper flakes and toss and then add the rest of the oil, make sure it returns to high, and then add the rice. Fry, tossing frequently, for about another 4-5 minutes. Add some or all of the reserved kimchi liquid to help create a desired consistency and get any cooked bits off the bottom of the pan. Return the pork to the pan and add the 2 tablespoons of soy sauce and the 1 tablespoon of sesame oil. Cook for another couple of minutes. Taste and adjust soy sauce and or salt and pepper. Cover with a lid for a moment while you fry your eggs and make your sauce. For the sauce, just whisk together the soy sauce, gochujang, and the sesame oil. For the eggs: use as many eggs as there are people eating. Each person gets a fried egg on top. You want the yolk to be runny. You’ll feel so sad if you overcook it. If you do overcook it, just save it for egg salad and make a new one. Having a runny yolk over your fried rice is quite satisfying. Now plate your fried rice. 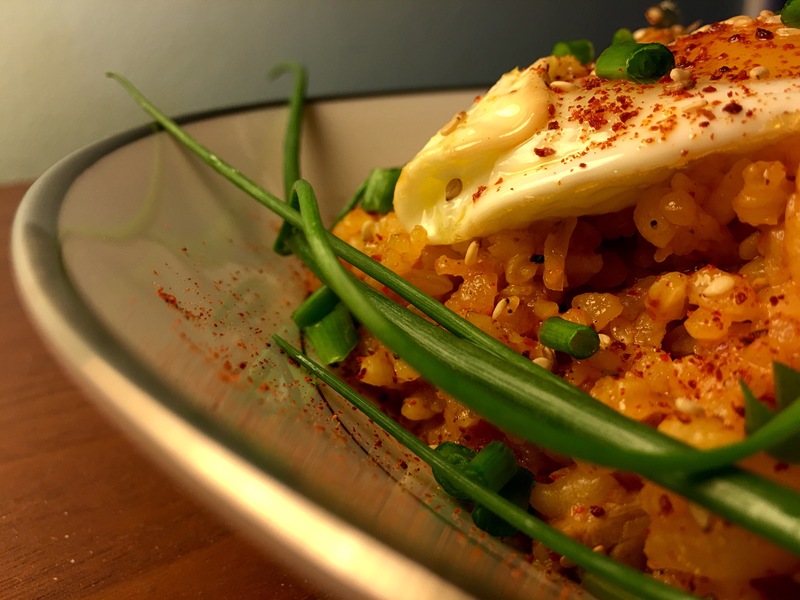 Put your perfectly cooked fried egg on top of the rice. Now drizzle the sauce all around all cute-like and sprinkle with sesame seeds, more pepper flakes, and chopped chives. Yummy! Those are some seriously seductive chives right there. I’ve said before that African food is my heart food. My travels to Tanzania began my love of East African cuisine. It was exciting and flavorful and familiar all at the same time. Most recipes use things that someone in a small town could find at the grocery store. Many dishes are naturally gluten free, dairy free, and vegan. This soup is dairy free and gluten free. It uses plenty of veggies and gets its smooth and creamy flavor from peanut butter and coconut milk. 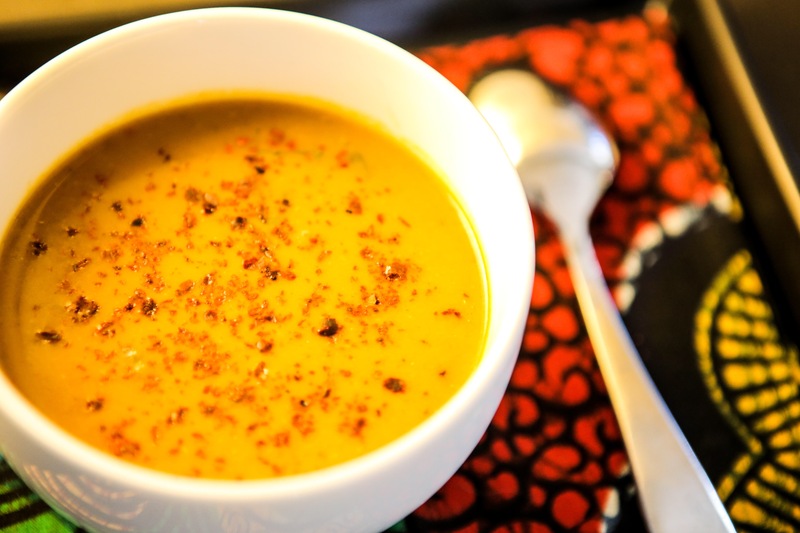 Tanzanian peanut soup can be ready in as little as a half hour. You could serve it with fruit and bread if you like, but I promise you, it’s filling all on its own! *red pepper flakes I went a little off course and used Korean red pepper flakes (gochugaru) because I have so much and I used a full teaspoon. It was excellent in this dish. You can Aleppo use pepper or cayenne pepper. The authentic pepper flake would be crushed African birdseye pepper. A good starting point would be 1/4 teaspoon and increase as you wish. 1.Heat the oil in a medium-sized pot over medium-high heat. Add the onion and some salt and pepper. Cook for about 3 minutes. Add the tomato and cook for about another 3 minutes. Add the garlic, Maggi (if using), bouillon, curry powder, hot pepper flakes or powder, turmeric, and a little more salt and pepper. Stir and cook for about 1 minute. 2.Add the chicken broth, coconut milk, and peanut butter. Stir and heat to a simmer. Add the eggplant and bring it back to a simmer. Cover and reduce heat to medium-low. Cover and cook for about 20 minutes, until the eggplant is really tender. 3.Now get out that immersion blender and blend it all up! You want it to be silky smooth. If you’re using greens, you can add them now and simmer for maybe around 5 minutes. Don’t make my mistake and add long ribbons of chard. While tasty, it conflicted with the texture of the soup. Chop those greens up real good before you add them. Top with the avocado, hot pepper, cilantro too if you please. Usually I’m all about the soup toppings but honestly, this soup is absolutely delicious without.